Water is a crucial resource that many people take for granted. The reason is they simply turn on the tap and out comes fresh water. However, this may not be an option when an unexpected event or a disaster occurs. 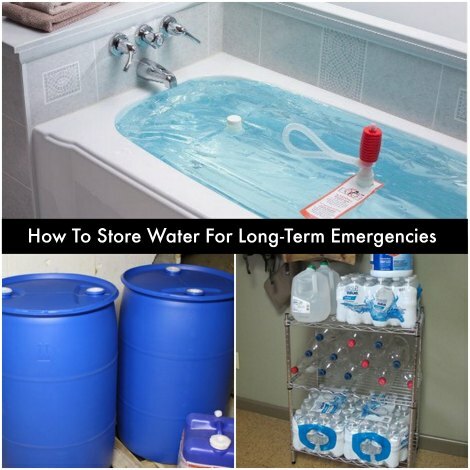 You will need a good way to store water for long-term emergencies. Knowing how to ration will be important when you store water for long-term emergencies. You cannot take a long shower or a bath if a constant supply of water is not available. Each person in your home is likely to use about 1-gallon of water each day. There are many options available to store water for long-term emergencies. Keep in mind there should be about 30 to 40 gallons available in your water heater until that is used. The best way to store water will be to use containers that have been designed for a gallon or more of water.